← The Great Barrier Thief! Thanks so much Flora! I love making learning visual and fun for children, its the best job ever!! Hello Dr. Suzie Starfish! It has been a while since we talked. My students and I are getting prepared for a formal study of Australia. I was wondering if your book is available in the US yet? I would love to use it in my lesson planning. Hi Melissa, its so FIN-tastic to hear from you! 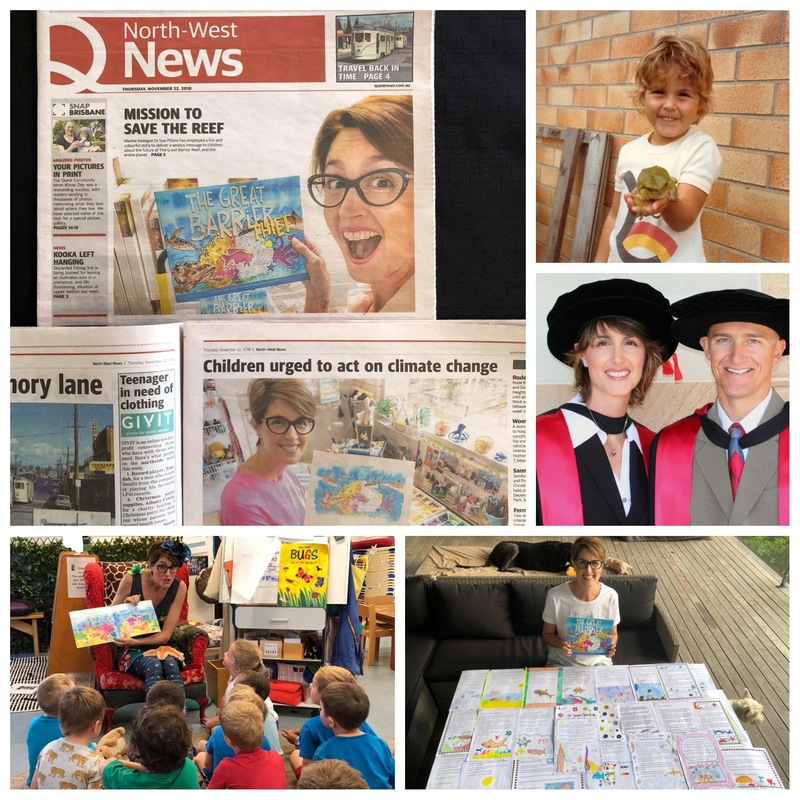 My book is available to purchase from anywhere in the world via my website at https://drsuepillans.com/books/the-great-barrier-reef/ Just scroll down to the 2nd payment button for International Orders and the signed book (which I can also address to you and your classroom) can be shipped asap to your school in the US! I hope your students enjoy learning all about us ‘Downunder’ in Australia! Best fishes to you and your classroom.